Optim­iz­a­tion and rehab­il­it­a­tion of existing external systems aiming at improving the water quality and reduce main­ten­ance and energy costs. Diverse clients. Develop a concept for sustain­able water manage­ment in Moabit West, Berlin. A study “Resource Effi­ciency Water” for the shop­ping Center Gropius Passagen, Berlin. Increase in energy yields during heat recovery from grey­water (F+E project AZ 32156–24/2). Plan­ning of a water recyc­ling system for „Kais­er­liches Postamt“ in Leipzig. Urban Agri­cul­ture Casab­lanca (UAC) — “Urban Agri­cul­ture as an Integ­rative Factor of Climate-Optim­ised Urban Devel­op­ment, Casab­lanca”. German-Moroccan research project within the mega­city research programme “Research for the Sustain­able Devel­op­ment of Mega­cities of Tomorrow”. Prac­tice Partner of the Asso­ci­ation for Rain­water Harvesting and Water Util­isa­tion (fbr) and the Tech­nical Univer­sity of Berlin. Urban devel­op­ment concept „Green Moabit” on behalf of the Berlin Senate Depart­ment for Urban Devel­op­ment. Field of action: innov­ative water concepts/contracting. Hafen­City – A study on decent­ral­ized grey­water recyc­ling for Hafen­City Hamburg. Plan­ning, construc­tion and oper­a­tion of a grey­water recyc­ling system coupled to heat recovery from wastewater in a passive house in Berlin with 40 accom­mod­a­tion units. Decent­ral­ised wastewater heat recovery from a grey­water recyc­ling system (F+E Project AZ 28201). Concep­tual study on the envir­on­mental upgrading of build­ings of the Water Depart­ment of the Secretary of State in charge of Water and the Envir­on­ment (S.E.E.E.) in Rabat, Morocco with regard to water manage­ment. Beirut New Water­front – Sustain­ab­ility study for the New Water­front District, Beirut, Lebanon including LEEDS certi­fic­a­tion. Consulting expert in setting up guidelines for indoor grey­water reuse and quality require­ments for non-potable water for the Jord­anian Ministry of Water and Irrig­a­tion. Cooperation in oper­a­tion and main­ten­ance of grey­water recyc­ling systems in Berlin. Public-Private-Part­ner­ship (PPP) Project in cooperation with the Jord­anian Ministry of Water and Irrig­a­tion, Dead Sea Spa Hotel, GIZ and Pontos GmbH. Plan­ning, consulta­tion and research on grey­water pilot plants in Jordan. Training meas­ures for install­a­tion, main­ten­ance and oper­a­tion. Devel­op­ment of tech­no­lo­gies for multiple water use, natural wastewater and faecal wastes disposal (in a so-called water house) for a community in South Africa. Dessauer Straße 9–12 Kärnterhof GmbH & Co.
Integ­rated water concept Block 6 in Berlin/Kreuzberg. Rain­water manage­ment and grey­water recyc­ling. Plan­ning, design and system oper­a­tion (selected site within the compet­i­tion “365 Orte im Land der Ideen” and awarded by the Federal Pres­ident on 28.06.2009). In cooperation with the Berlin Senate Depart­ment for Urban Devel­op­ment. 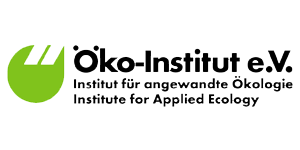 Invest­ig­a­tion studies on the sustain­able reduc­tion of storm­water fees and consump­tion-dependent water tariffs in schools in Berlin. 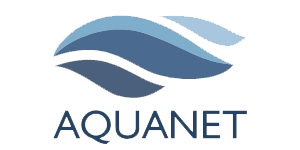 Monetary and non-monetary assess­ment of different rain­water manage­ment concepts”. Devel­op­ment of an expert system. “ZerO-M Project: Sustain­able Concepts Towards a Zero Outflow Muni­cip­ality” (E8/AIDCO/2001/0515/597668). Financed by the European Commis­sion. MEDA part­ners: Egypt, Morocco, Tunisia & Turkey. Nolde, E. (2017). Die getrennte Erfas­sung von Grau­wasser — ein Weg zu mehr Ressourcenef­f­iz­ienz in der Sied­lung­swasser­wirtschaft. In: Wasser­in­frastruk­turen für die zukun­fts­fähige Stadt — Beiträge der INIS-Forschung. Deutsches Institut für Urban­istik gGmbH (Hrsg. ), S. 114–119. Bert­ling, R., Nolde, E. (2017). Entwicklung, Aufbau und Betrieb einer Pilotan­lage zur Herstel­lung von Flüssig­dünger aus Schwar­zwasser. In: Wasser­in­frastruk­turen für die zukun­fts­fähige Stadt — Beiträge der INIS-Forschung. Deutsches Institut für Urban­istik gGmbH (Hrsg. ), S. 108–113. 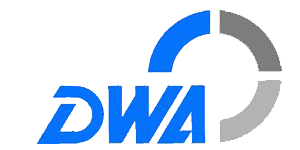 DWA-Arbeits­gruppe KA-1.6 (2017). Neuartige Sanitär­systeme (NASS)- Eine Bilan­zierung von Nähr­stoffen, Ener­gie­v­er­brauch und CO2-Emis­sionen, Korres­pondenz Abwasser, Abfall, S. 1074–1082. Nolde, E., et al. (2016). ROOF WATER-FARM: A Multidiscip­linary Approach to Integ­rate Wastewater Reuse with Urban Agri­cul­ture. In: Strategies for 2020 and beyond. Kemi Adeyeye (Ed. ), Centre for Advanced Studies in Archi­tec­ture, Univer­sity of Bath, UK, UK. pp. 235–245. Nolde, E. (2014). Grey­water recyc­ling in build­ings. 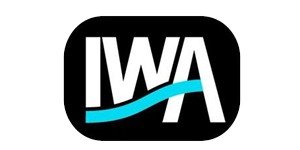 In: Water Effi­ciency in Build­ings — Theory and Prac­tice. Kemi Adeyeye (Ed. ), School of Envir­on­ment and Tech­no­logy, Univer­sity of Brighton, UK. John Wiley & Sons, Ltd., UK. pp. 169 -189. Nolde, E. (2012). Ener­giegewin­nung beim Grauwasser­re­cyc­ling durch vorgeschal­tete Wärmer­ück­gewin­nung. In: Neue Wasser­in­frastruk­turkonzepte in der Stadtplanung. NASS-Tage 6.–7. November 2012. 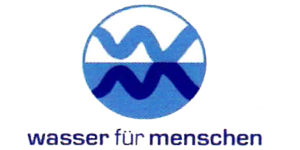 DWA Deutsche Verein­i­gung für Wasser­wirtschaft, Abwasser und Abfall e.V. (Hsg), Hennef 2012. S: 151–161. Nolde, E. (2007). Possib­il­ities of rain­water util­isa­tion in densely popu­lated areas including precip­it­a­tion runoffs from traffic surfaces. Desal­in­a­tion, 127: 1–11. Nolde, E. & Prin­zler, A. 2007. Bewer­tung unter­schied­licher Maßnahmen — Regen­wasser­nutzung und Wirtschaft­lich­keit. Spek­trum Gebäu­de­Technik SGT 2/2007 (Schweiz). Rustige, H. & Nolde, E. (2007). Nitrogen elim­in­a­tion from land­fill leachates using an extra carbon source in subsur­face flow constructed wetlands. Water Science and Tech­no­logy, 56 (3): 125–133. Nolde, E. (2006). Grauwasser­re­cyc­ling als sinnvolle Maßnahme zu sparen. Deutsche Bauzei­tung 5: 71–75. Nolde, E. (2005). fbr Inform­a­tion Sheet H 201: Grey­water Recyc­ling — Plan­ning basics and busi­ness advice. 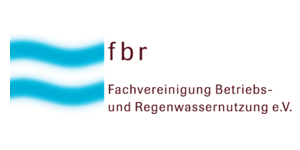 fbr — German Asso­ci­ation for Rain­water Harvesting and Water Reuse (Ed. ), Darm­stadt 2005. Nolde, E. (2005). Grey­water Recyc­ling Systems in Germany — results, exper­i­ences and guidelines. Water Science and Tech­no­logy, 51 (10): 203–210. Nolde, E. (1999). Grey­water reuse systems for toilet flushing in multi-storey build­ings — over ten years exper­i­ence in Berlin. Urban Water 1: 275–284. Nolde, E. (1998). Regen­wasser­nutzung in Gebäuden — Ein Beitrag zur Abflussmin­i­mierung und Reduzierung des Trink­wasser­ver­brauchs? in Zukunft Wasser — Doku­ment­a­tion zum Symposium zur Nach­haltigkeit im Wasser­wesen in der Mitte Europas: 94–97.